Diego Simeone has confirmed he will be allowed to leave Athletico Madrid. Where do you think he will be allowed to end up? According to Antonio's sauces, him to barcelona its a done deal already. I wouldn't mind him at United but prefer Dybala. There are 101 different rumours flying around at the moment and one of them is Griezmann to Barça. But who knows! He’s a better fit for United under Mourinho although I feel that Griezmann offers a diverse amount of different avenues to attack and he also knows how to put in heavy shifts defensively since being with Simeone. Are you getting saucy with me? 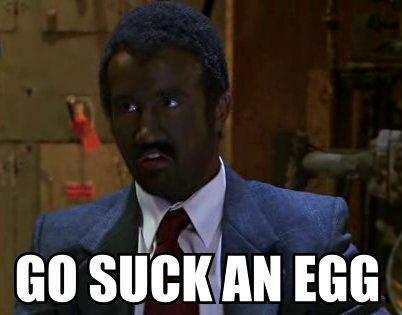 Despite the fact that blackface is only offensive in the context of American culture (I recall growing up watching old ABC and BBC comedies with good ol' English and Australians using blackface). Isn't it culturally insensitive to be mad at someone for something that doesn't relate to their culture? Oh, the paradox. Rumour has it he's already signed with Barcelona but I don't know what to make of it. I can't decide if that's good news or bad news . Where did he say blackface?, or it's just the photo? In America wearing facepaint to look black is considered really racist. Doesn't matter what your intentions are, people throw a tantrum every time. Oh that's him in the photo?, i thought it was just some random black guy. It's OK when Sol Campbell does it though. Well, that is a bloody interesting image. Had to think there for a sec. First I thought of when Arsenal had David Seaman and were sponsored by Sega's Dreamcast. Then I remembered that bloody game. Not the wisest thing he has done as it should've been obvious how it would be perceived especially when posting it on social media. People will always make it about their own insecurities & assumptions so they can have something to base their outrage on when it comes to social media. Sure he meant no disrespect but shouldn't be done like that either way. It's not the action of blacking up that is the issue, it's the cause behind it. People mention White Chicks or bring up that Sol Campbell picture, but White Chicks tackles plenty of social and racial stereotypes within America through it's use of "whitening up". It tackles the stereotypes put onto poorer/working class people, tackles stereotypes people have of rich white people, it tackles the stereotypes of black men who go for white women. I could go on but I've not seen it in years, that's just off of memory. 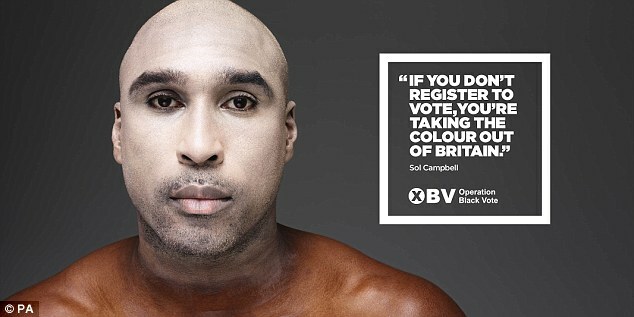 The Sol Campbell picture is shocking and used to be emotive, to capture the minds and emotions of black people who don't have the say they want in a country they're a minority in. If you want to pretend to be a Harlem Globetrotter you can, you put on the uniform, you get the basketball and if you're tall well that's a bonus. But you don't need to use their skin colour to get a laugh and define them by it. It backs up the thought process that you get successful people and then in a separate group you get successful black people, how many times in Hollywood are white actors described by the colour of the skin? Yet how many times will the Denzil Washington's and Samuel L Jackson's be perceived as successful black actors? The act of blacking up for no other reason than because someone is black shows that you can't look past the colour of someone's skin before finding something to admire. It's not running calling people the N word or going on KKK marches, but it is an ignorance that is allowed to go on and continues to separate black people from a white society. It was also a mechanism used to put white people in the role of black people on television and it was used to make light of racial tensions and black features in general. It was accepted in the UK because the UK was an overly racist country where black footballers would have bananas thrown at them, it was accepted in Australia because indigenous Australian's weren't even considered human, it's a massive problem in the States because of the large history of slavery, segregation, discrimination and racism the country has put on black people ever since they were put in chains and chucked on a boat. Calling this acceptable is simply ignorant. I'm not getting into an argument over this because knowing me I'll probably be arguing all night and all day tomorrow. how do you know it doesn't relate to their culture though? just because someone over here may be mad about it doesn't mean it's culturally insensitive. What if they're a black person over here and were mad at the time of those programmes as well as today? Can't agree with any of @Danny's post. Absolute rubbish. It's some black make-up for Christ's sake, the world needs to be less PC rather than scurrying for things to be offended by at every opportunity. I wasn't talking about black people; I was more saying that it might not be taboo in certain other cultures to wear black face; not that it makes it okay. I don't think people need to get offended by it anymore but given that you'll always cause a stink doing this and you're not really getting much or anything out of it I don't see why people don't just find a different costume. What an idiot. Obviously it'll upset some people, and with a massive presence in football as well as social media following, he should have known better. Or is he really that uneducated? Historically the only objectively racist thing about blackface isn't the portrayal of culture and stereotypes but the refusal of hiring black performers to fill those roles. If you go back and watch old cartoons you'll find that most of the blackface characters are actually quite endearing or the 'hero'. It was a bizarre admiration of black culture and arts (why were black even portrayed at all, you could ask). I recall watching an old Felix cartoon that portrayed the very stereotypical black man as the hero along with Felix and the white man as the evil oppressor that hated fun. I recall another instance from the British comedy show 'The Goodies', I remember clearly Graeme dresses as 'black boxer' in an attempt to beat up Bill's Lancaster martial art. I thought it was hilarious not because it lampooned black people but because of the out right absurdity of it all. It is a completely blown out of proportion sensitivity that is a complete non-issue. The fact that people even bring this up is pathetic. 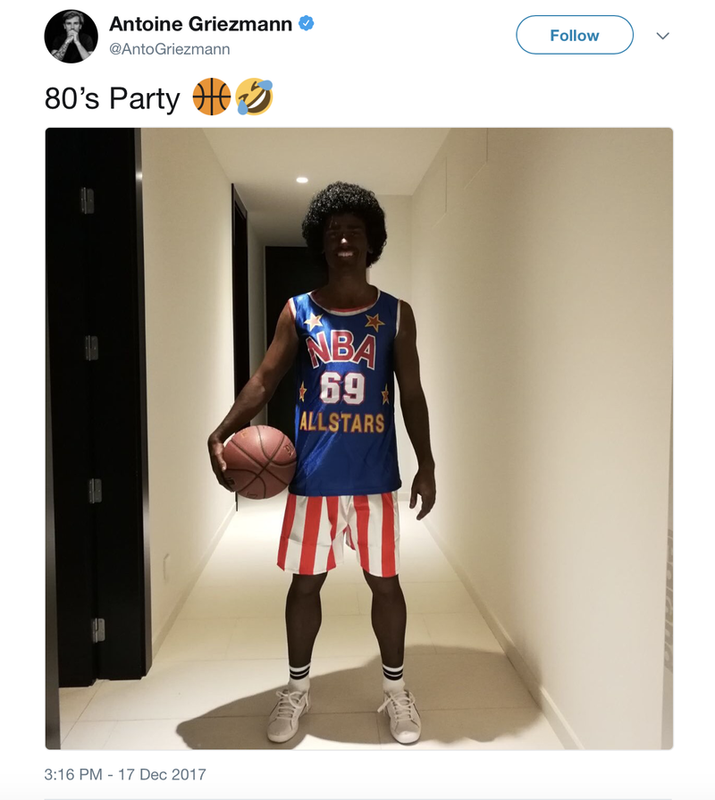 Oh wow, Antoine Griezmann is fond of some of the greatest and most important black American athletes of all time and wants to dress up as them - emulate them, but oh it resembles something that happened 80 years ago... I can understand the distaste for the exaggerated lips, the blackskin, the nappy hair, I believe everyone dislikes their features represented in such an exaggerated manner, but I don't believe Griezmann's costume has only of those features, correct? Now we have to ask what exactly is 'wrong' with Griezmann's costume? Is it wrong in the context of itself, or is it wrong because it reminds people something distasteful? But that is just an American view-point of blackface; nobody wants all their representation in the media to be done in mimicry or farce. Does France or Spain have a history of issues with blackface? I also thought it was a common celebration at Christmas in the Netherlands for the character Zwart Piet? English theatre also has a history of blackface as one of the greatest characters in English literature is portrayed in blackface (a Moorface rather): Othello. That is a false equivalency [ concerning the film White Chicks and black face]. A ninety minute film made in a time near racial equality isn't the same as decades of lampooning second-class citizens.Something can be often on a superficial glance be the same thing; but when the two (in this case whiteface and blackface) are deconstructed and examined thoroughly there are discernible differences between the two. It is simple to say that using anyone's race as a prop in comedy or any sort of media is or can be offensive. That isn't the argument, however only one has, by association decades of societal and cultural racism attached. This is guilt via association, in a vacuum there is 100% nothing wrong with what Griezmann has done but the incident doesn't exist within a vacuum; it exists in reality and in this reality conclusions can be drawn from what Griezmann has done via association. There is also concern that normalisation or removal of taboos can in course bring a return to everyday racial imagery. If you will, there is also a difference between making a Jew joke and a Jewish joke concerning Nazis. On the superficial level they are the same, but with further association one can take the latter far more offensive given the Holocaust. Personally, I'm not offended, nor do I particularly care. I'm for free speech, he can do whatever he pleases, but he must also accept the consequences living in a media spotlight as an internationally famous athlete. I make racey, on the nose, over the edge jokes all the time; in my personal life where I know people can't misconstrue my words and actions. If he didn't post this on social media, there would be no problem; his black friends may have thought it was a cool costume, they would have had fun and moved on. Another interesting thing to think about is: why is it offensive? I don't think the imagery itself, nor the over-the-top caricatures are inherently racist. I think the root of the offence is the lack of power and decision, black people didn't choose to be portrayed in that manner, they had no influence to be portrayed in any other manner, nor were they. If we existed in an alternate reality were the blackface imagery was created by a black person themself the overall perception of it would be completely different. In media there are often goofy depictions of white people but they are accepted because more often than not they are created by white people. Besides, creating caricatures have been an effective tool for creating an us vs them mentality for hundreds of years. We see it all the time today, in political cartoons (the opposing party often drawn as fools), propaganda, marketing, etc. 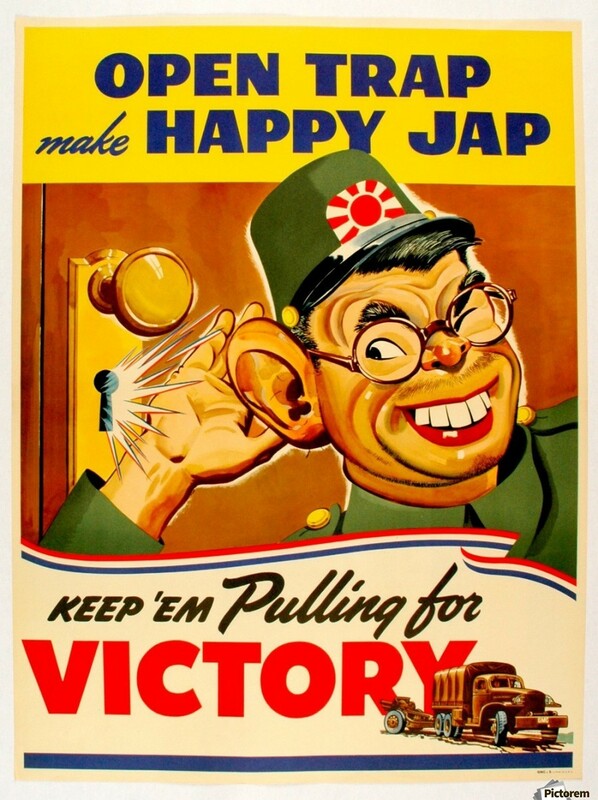 The British would draw French soldiers and Napoleon himself as goofy looking midgets during the Napoleonic wars, the Americans drew the Japanese as buck-toothed squinty eyed kamikaze pilots during WW2, and the reverse is true as well. 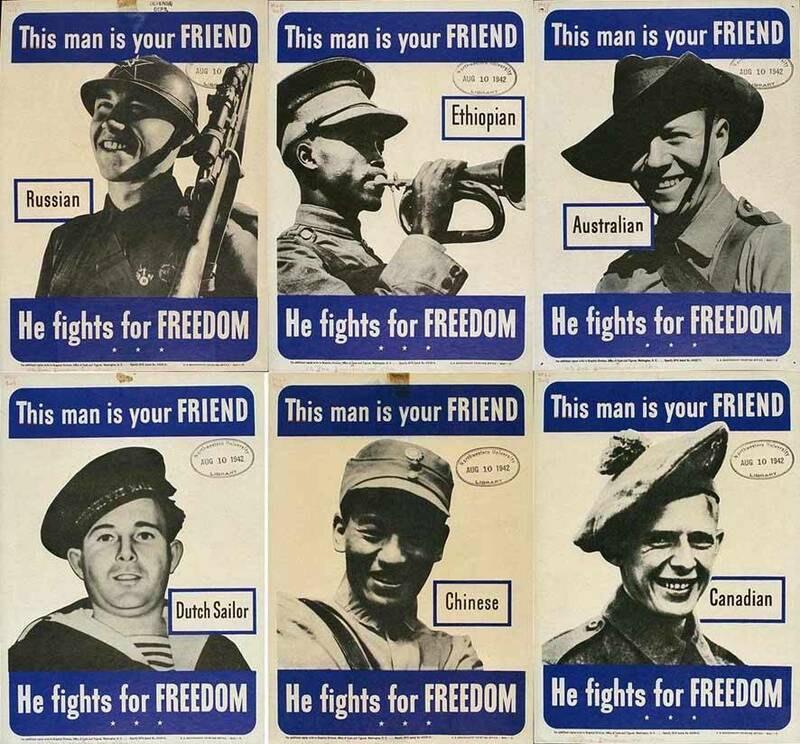 Compare these two images from WW2. 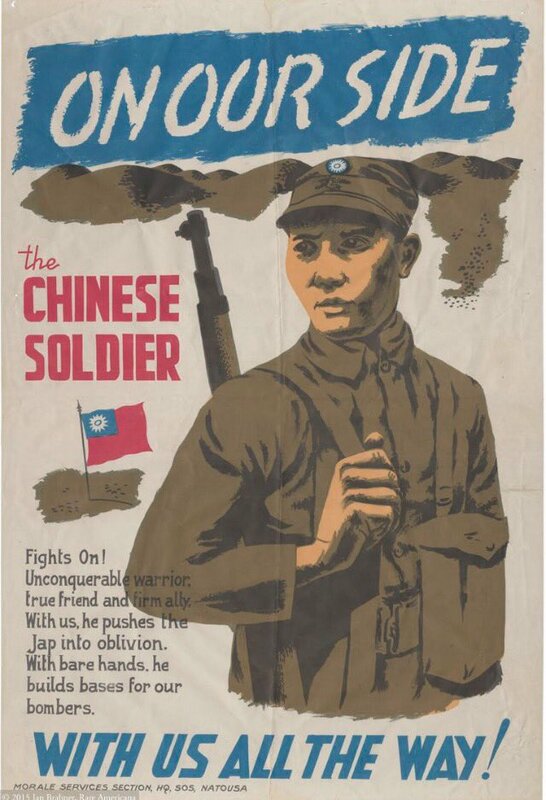 Despite not looking too different at all, the posters portray a Chinese and Tawainese man favourably while making the Japanese... less so. It can be very dehumanising. Atletico Madrid are to report Barcelona to Fifa over an alleged illegal approach for striker Antoine Griezmann. Barcelona director Guillermo Amor told Spanish media that president Josep Maria Bartomeu may have made contact with Griezmann's family, who also act as his representatives. The Spanish outfit say that breaks FIFA regulations. "Atletico Madrid have presented a complaint about Barcelona for repeated contact between Barcelona, the player and his people," Atletico told Reuters. "Griezmann has a long contract and this cannot be permitted, while the club also considers it could affect the competition [La Liga] in which Barcelona are currently top and Atletico are second." Suarez has seen that Griezmann is a racist like him and encouraged the Barcelona board to step up their pursuit I see. Antoine Griezmann wants his future resolved before he travels with France to this summer's World Cup in Russia. The 27-year-old has been linked with a move away from Atletico Madrid this summer, and La Liga rivals Barcelona are reportedly favourites to secure his services. Reports in Spain claim Atleti will offer Griezmann a bumper new contract in a last-ditch attempt to keep him at the Wanda Metropolitano.